Will is a Professional Engineer with 20 years’ business experience, all in South Wales, in both manufacturing and business consultancy. 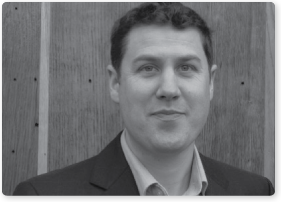 In 2003, he joined a major Welsh business consultancy, and became well known in local business via the management of MAS (Manufacturing Advisory Service) for the Welsh Government in South Wales. He also delivered best practice workshops for MAS West Midlands. In 2008, Will founded Oakbank Ltd.
Will is also a Chartered Engineer, and a Fellow of the IMechE (Institution of Mechanical Engineers). As an accredited SFEDI Business Consultant and Manufacturing and Engineering expert, he works with businesses as a consultant, or as required on workshop development/delivery, sourcing, supplier development and collaborative ventures. He is qualified in Six Sigma (black belt) and has run and managed projects across various technical sectors, such as FMCG, electronics, automotive and the food industry. More recently Will has applied lean methodologies and Six Sigma principles in the service sector. He participated in the delivery of the WDA (Welsh Development Agency) and later Welsh Assembly Government Six Sigma programme across Wales. He was the MAS advisor for Bristol from 2012 to 2015 working to support the sustainable growth of manufacturing busineses. He has worked with a wide range of organisations across Wales both in the Public Sector, Private Sector and Third Sector. Sarah has worked in both commercial and operations functions, and in senior roles in major South Wales organisations, over the past 18 years. Prior to working at Oakbank Ltd, she was the Commercial Director in a manufacturing business. More recent experience includes working with the Public Sector and the Third Sector, as well as non-executive roles. Sarah graduated from the University of Birmingham with an Honours degree in Materials Science/Metallurgy, and a Masters research degree in the area of electroplating. Early in her career, she became a Chartered Engineer, and a Member of IOM3 (The Institute of Materials, Minerals and Mining). She has further added to this with a MBA from Warwick Business School, and is a PRINCE2® practitioner. demonstrably able to present, influence, facilitate and communicate effectively at all levels of both medium-sized and blue-chip companies, and to provide project co-ordination, leadership and/or consultancy in a variety of business environments. With management experience in large multi-national companies Sarah is able to support Managers and Directors with decision making and strategy/policy deployment. She has developed and delivered strategies to break in to major new markets both in the UK and overseas. Nicola has worked in both technical and commercial functions, in major Welsh organisations, over the past 18 years. Recent experience includes new product development, strategic analysis and implementation, market share development, as well as working with the Public Sector and the Third Sector. Nicola graduated from Swansea University with an Honours degree in Materials Engineering, and a Postgraduate Diploma in Business Administration from Cardiff University. 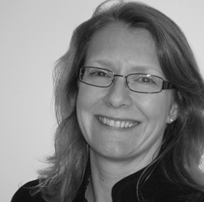 Nicola is an experienced project manager, with excellent business development and strategic experience. She is able to communicate effectively, and to influence, at all organisational levels, across all organisational sectors. 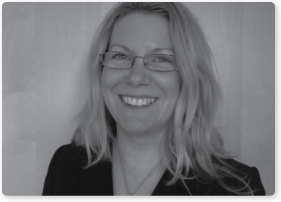 Nicola has management experience in large multi-national companies, including steel processing, automotive and packaging. She has undertaken HACCP planning for food safety, designed and delivered technical workshops, and developed a CAPA quality management system. Nicola has worked in both business-to-business and consumer arenas, and is fully aware of the complexities of managing and recording activity against European and Welsh Government funded programmes. Additionally, Nicola is a Welsh learner.